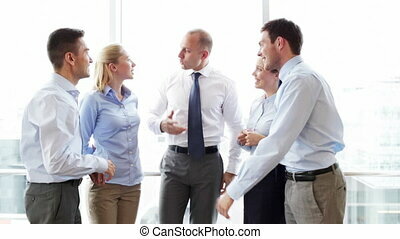 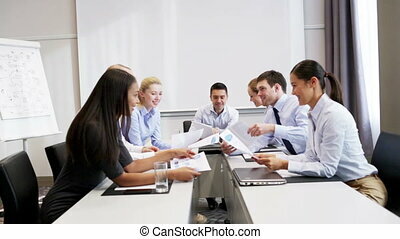 Business people meeting in office. 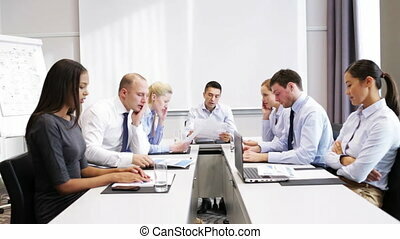 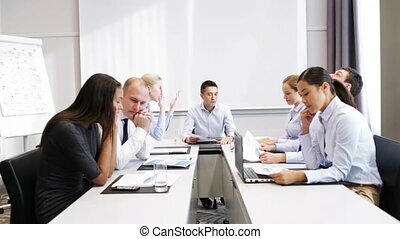 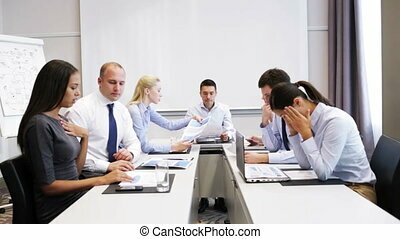 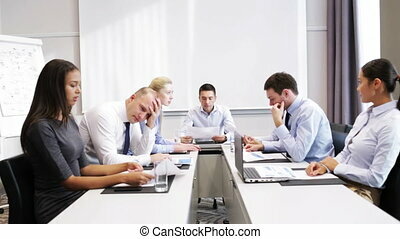 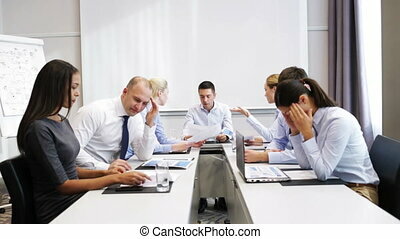 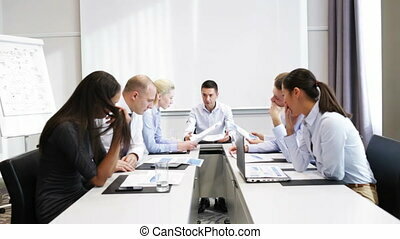 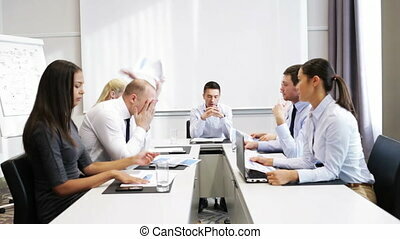 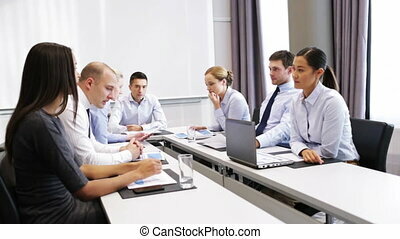 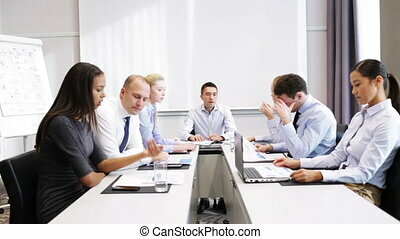 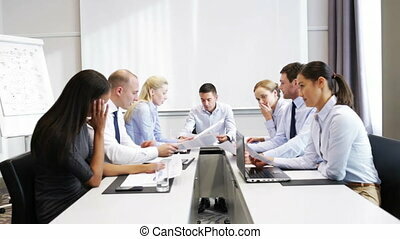 Business people in the office, the secretary brings reports. 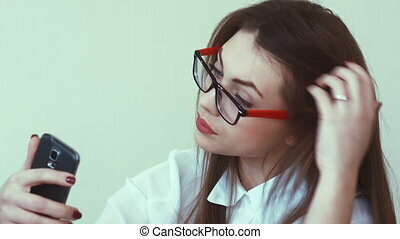 Young businesswoman overwhelmed by too much paperwork in office. 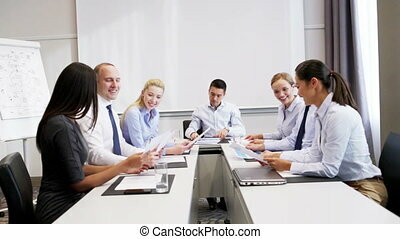 The manager brings her more documents.